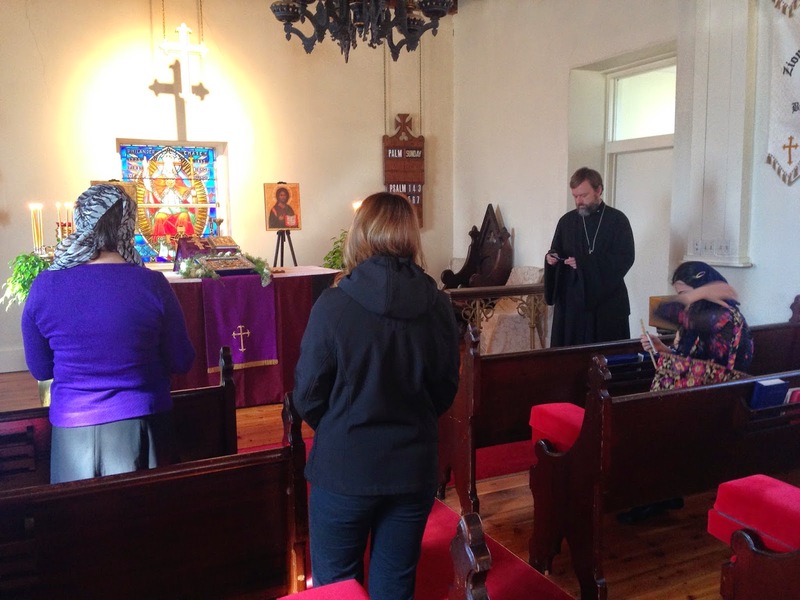 Father Innokenty is scheduled to visit Holy Transfiguration the weekend of May 3-4, 2014 (ns), for services on the Sunday of the Myrrh Bearing Women. 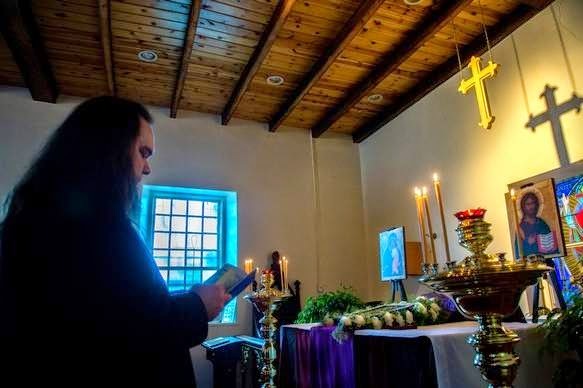 He will serve the All-Night Vigil (with confessions) on Saturday evening at 5:00 PM and Divine Liturgy at 10:00 AM on Sunday morning. We are also hosting an open meet-and-greet session with Fr. Innokenty at 3:00 PM on Saturday afternoon in the parish hall. This session will be a casual open-format conversation. 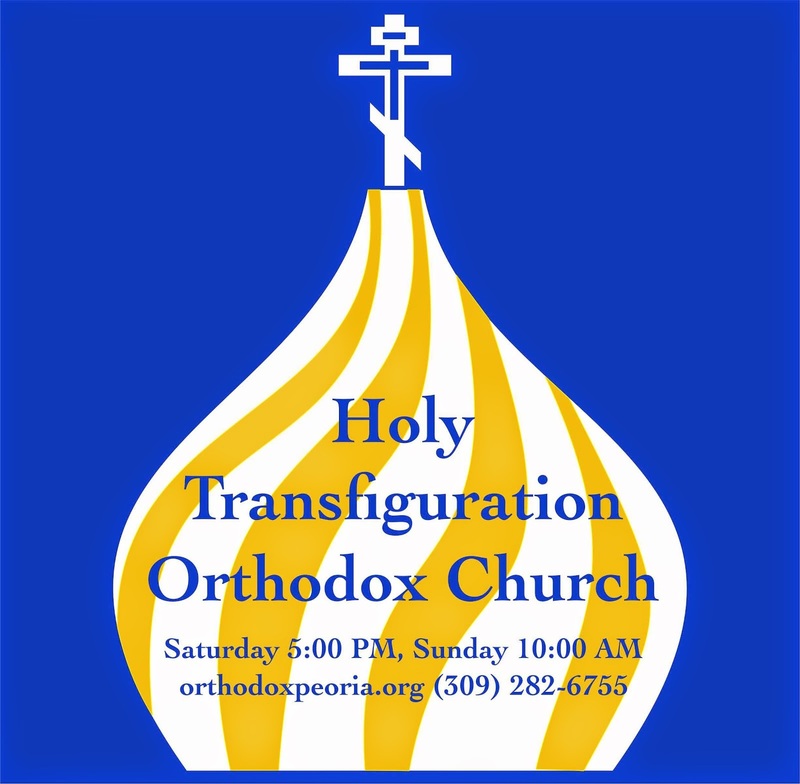 Feel free to come and ask questions about Orthodox Christianity, the Russian Orthodox Church, Christian life and doctrine, or simply come and spend time with us. If you plan to attend our "Meet the Priest" session, please help us plan by sending an email to Subdeacon Benjamin. 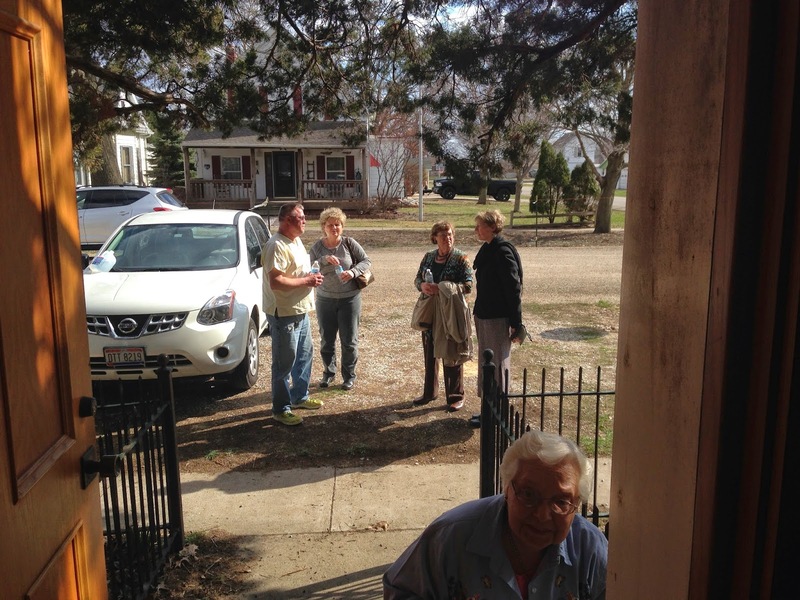 Services and Meet-and-Greet will be at 205 E. Van Buren St., Brimfield, Illinois (Zion Church). I extend my heartfelt greetings to my eminent brother Archpastors, beloved in the Lord reverend fathers, brothers, and sisters, on this most radiant of feasts, the Resurrection of Christ from the dead! Pascha is the only night in the year, a night like no other, which brings down upon the earth great heavenly joy, making it the birthright of all people who greet and celebrate this "feast of feasts!" Whoever rejoices at the Resurrection of Christ palpably senses Christ Himself, and whoever senses Christ is together with Christ, and is within Christ. This proximity to Christ is nothing less than the sweetest goal of our lives. And there is no question that we can attain this goal! Christ prepares the way that we may approach Him. He is with us. Undoubtedly, each and every one of us has experienced moments of heartfelt communion with Him. Especially vividly, joyously, and brightly do we feel this proximity, this beauty, this power, and this love of God during the feast of the glorious Resurrection of Christ. Our childlike glee over the Resurrection of the Savior can be so powerful that it can remain vivid even into our old age. It is up to us, then, to preserve, to strengthen, and to develop this Paschal joy within our spiritual lives. Having partaken of this joy of the Divine in our childhood, we have been unable ‒ out of our own ignorance ‒ to preserve this joy, we have not kept close to its sweetness, but instead swerved away to chase other joys and dreams. 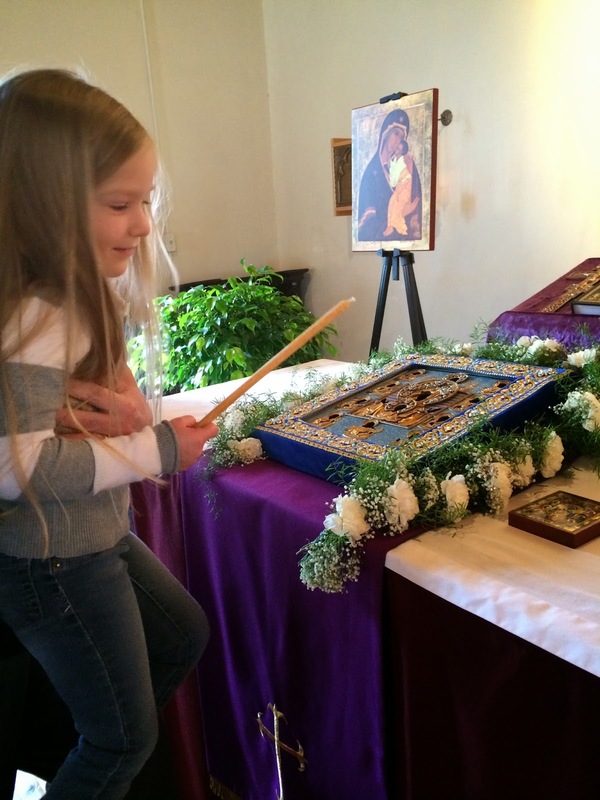 Lifting our thoughts to the Life-Bearing Sepulcher of the Lord and our Resurrected Christ, we pray for the reign of this omnipotent joy in the hearts of all the people of Ukraine, of Syria, and of our Church throughout the world. Brothers and sisters, if we actively see this joy of Christ and of our personal meeting with the Resurrected Christ in our inner lives, then we shall know that being with Him is not terrifying, it is not burdensome; all that we do for this temporal life is fleeting and fading, but whatever we do for eternity shall remain with us forever. "And they said one to another, did not our heart burn within us, while He talked with us by the way, and while He opened to us the Scriptures?” (Luke 24:32), said Luke and Cleopas when the Life-Giver revealed Himself to them during the breaking of the bread. Based on the testimony of eyewitnesses present at the Paschal matins performed by St. John (Maximovich, +1966), his face literally shone during the nighttime service, and the fervor of his heart ignited everyone with the joy of the Resurrected Christ. 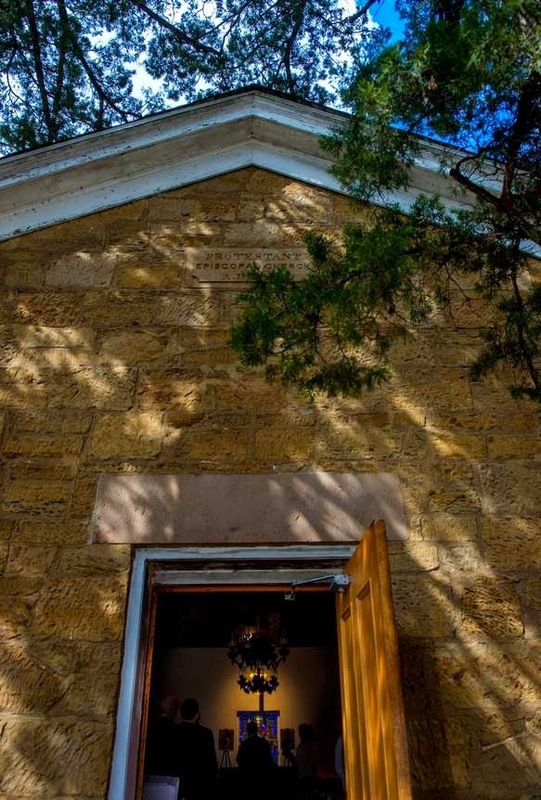 His face shone with faith and love as he waved the censer with the Paschal triple candles, circling the church and exclaiming "Christ is Risen!" 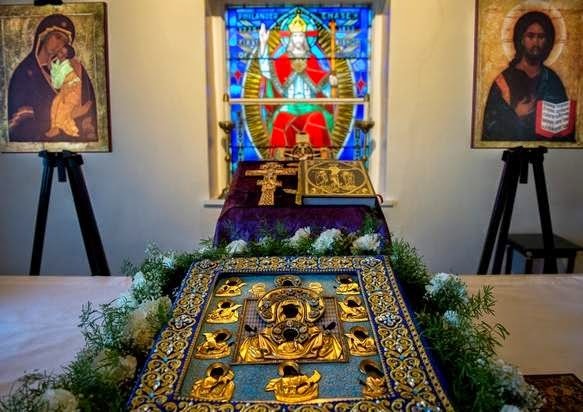 Glory be to God, even today this great hierarch of the Russian Diaspora remains incorrupt in the cathedral in San Francisco, truly living in spirit and praying for us all. 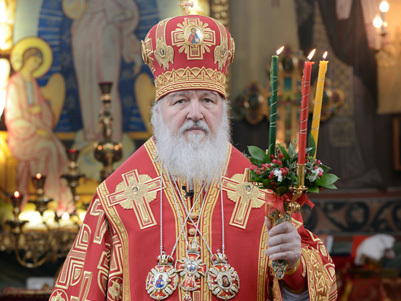 The time has now come for us to plead for the prayers of St. John, so that the forthcoming Council of Bishops of the Russian Church Abroad and the 13th All-Diasporan Youth Conference may bring forth worthy and fruitful results, for they will coincide with the celebration of the twentieth anniversary of his canonization by the Church. 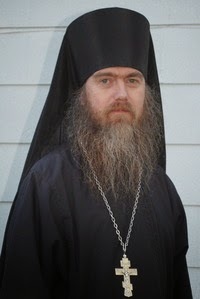 On Sunday, June 29, Hieromonk Nicholas (Olhovsky) will be consecrated Bishop of Manhattan. 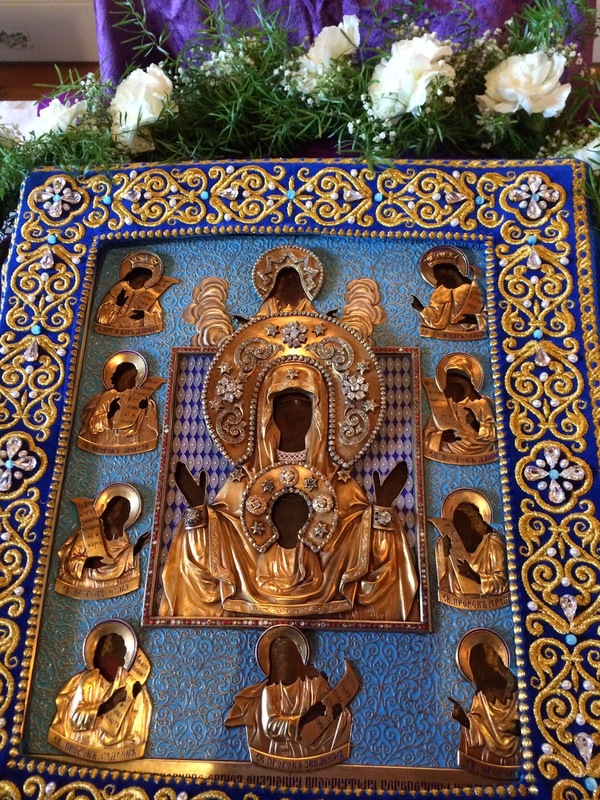 On this day, the wonder-working Kursk Root Icon of the Mother of God "of the Sign" will be present, as well. 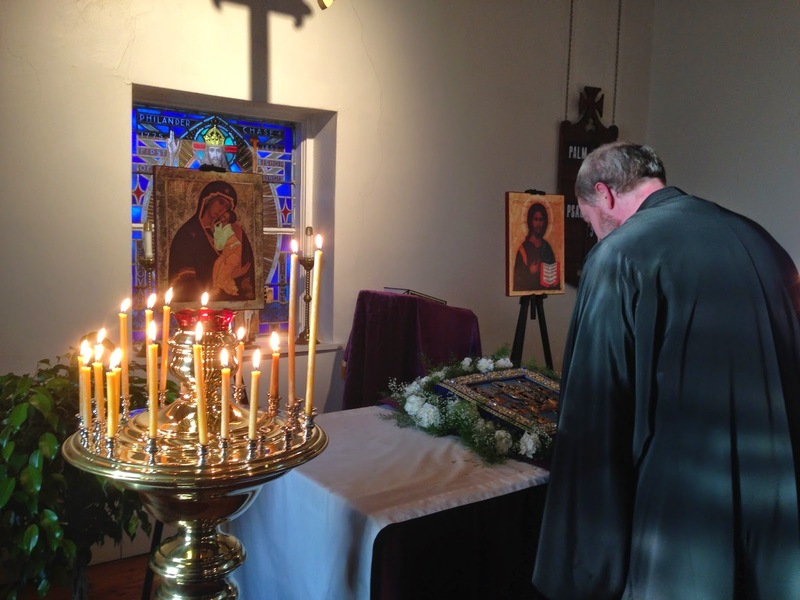 By the prayers of our Most-Pure Protectress and of the Holy Hierarch of Christ John, may our Church life be well established and strengthened, as well as the efforts of our new laborers in Christ’s Vineyard. Truly is Christ God, our Chief Pastor, Risen! As we celebrate this ‘Feast of feasts and Triumph of triumphs,’ it is with a special spiritual feeling that we recall the redemptive act of the Saviour of the world, his sufferings on the Cross and bright resurrection. Pascha is not some beautiful legend, not some theoretical theology and not a nod towards a popular custom established in the distant past. It is the essence and kernel of Christianity. It is the victory that God has granted to us. From the time of the apostles and up to the present the Church has preached Christ’s resurrection as the greatest miracle in the history of humanity. 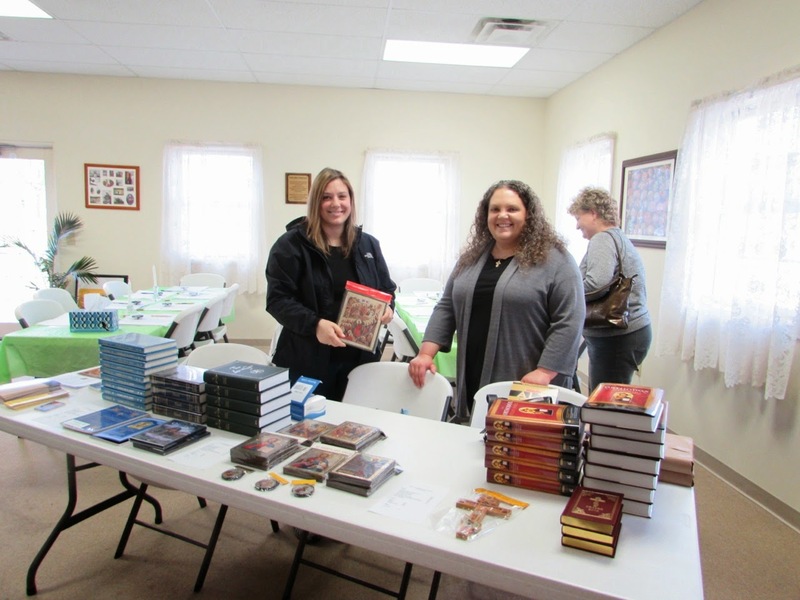 She speaks of this miracle not only as a fact of the Gospels, but – and what is especially important – as a moment of destiny for all those who have received the Paschal good news. This feast bears the most direct relationship to us, for Christ’s resurrection, the Lord’s redemption of the fallen world, is the greatest joy which the human person can experience. No matter how difficult our life, no matter what everyday troubles besiege us, no matter what grief and imperfections we have to endure from the world around us – all of this is nothing in comparison to the spiritual joy, to the hope of eternal salvation that God gives us. As St. Paul says, ‘he that raised up Christ from the dead shall also quicken our mortal bodies by his Spirit that dwells in us’ (cf. Rom 8:11). On the radiant day of Christ’s resurrection the souls of millions of the faithful are replete with thanksgiving to the Creator, and our earthly life acquires true meaning. Christ’s Passover is the greatest triumph of life, the triumph over death bringing love, peace and spiritual transformation. The Paschal message, which has transformed the whole course of world history, encourages us to be morally transformed, to be spiritually renewed, which is so essential for modern-day society. It reminds all people of the sources of Christianity, as well as of the coming eternal Kingdom where ‘God may be all in all’ (1 Cor 15:28). During these radiant days of the Paschal feast we are called upon to share our joy with our relatives and those close to us, to show them active love and mercy. 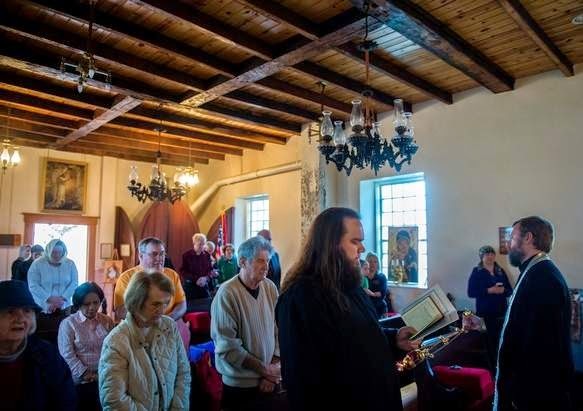 Such are the traditions sanctified over the centuries, and in following them we testify to our participation in Christ’s heritage and belief that the Lord has truly risen. 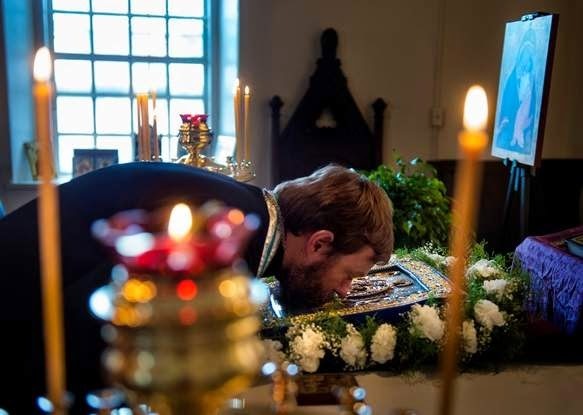 Now, as before, the Russian Orthodox Church diligently carries out her saving mission, tirelessly proclaiming God’s truth, affirming the importance of the Gospel commandments, calling for peace and harmony, serving the spiritual unity of nations living in the countries under the pastoral care of the Moscow Patriarchate. In proclaiming the love of God which surpasses all knowledge (cf. Eph 3:19), Christianity brings people together by overcoming national, cultural and state boundaries, for ‘the light of Christ illumines all’ (cf. Jn 1:9). 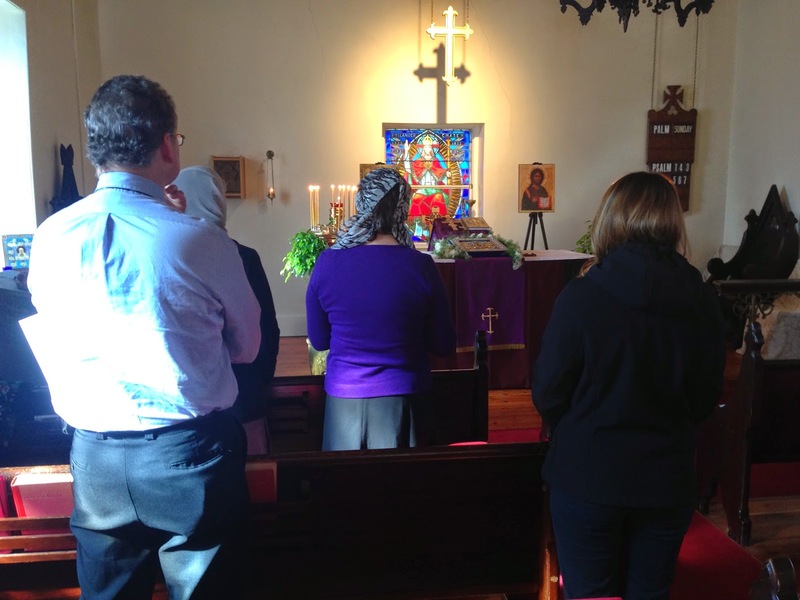 May the light of Christ’s glory that has shone forth from the Life-bearing Tomb abide with us and illumine our hearts, extending to those who are close to us and those far removed from us, and upon all who are in need of our care and support. 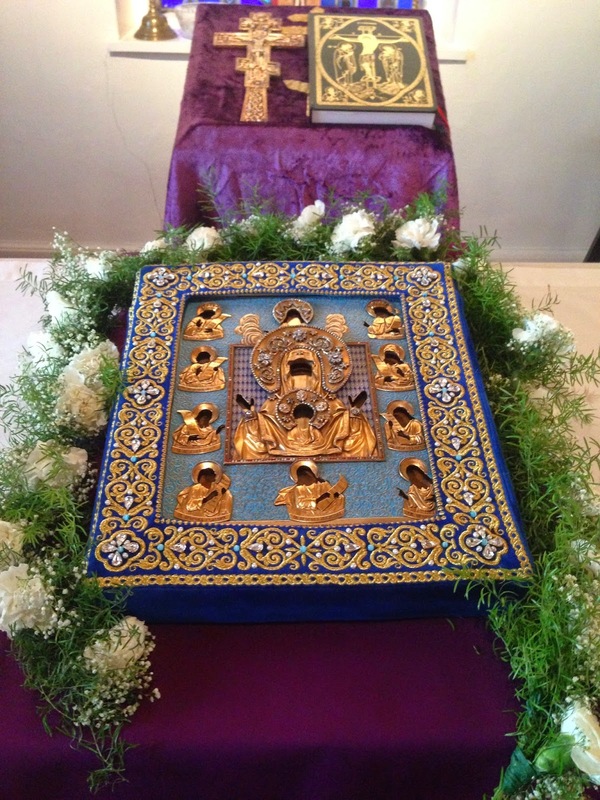 Our cups were overflowing on the afternoon of the afterfeast of the Annunciation of the Theotokos: April 8, 2014 (ns). 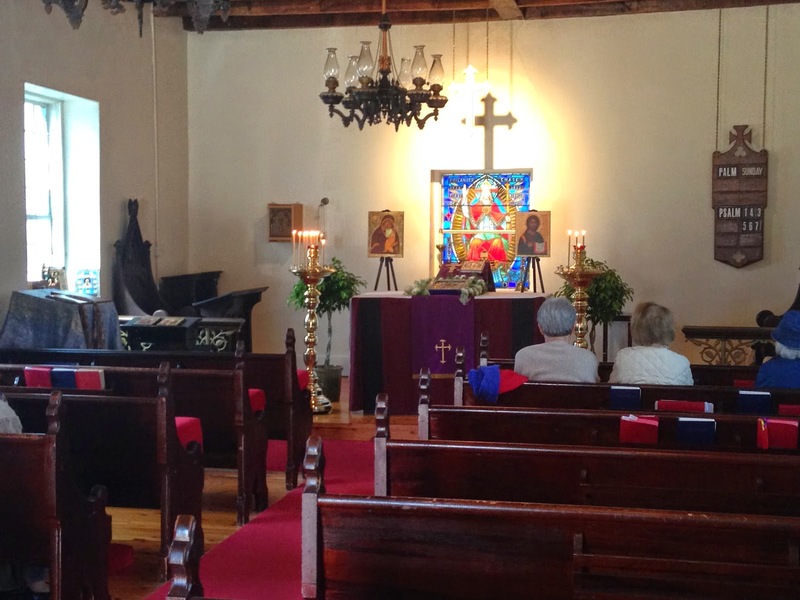 It seems that all was prearranged by Our Lady herself in preparation for her visit by her icon. 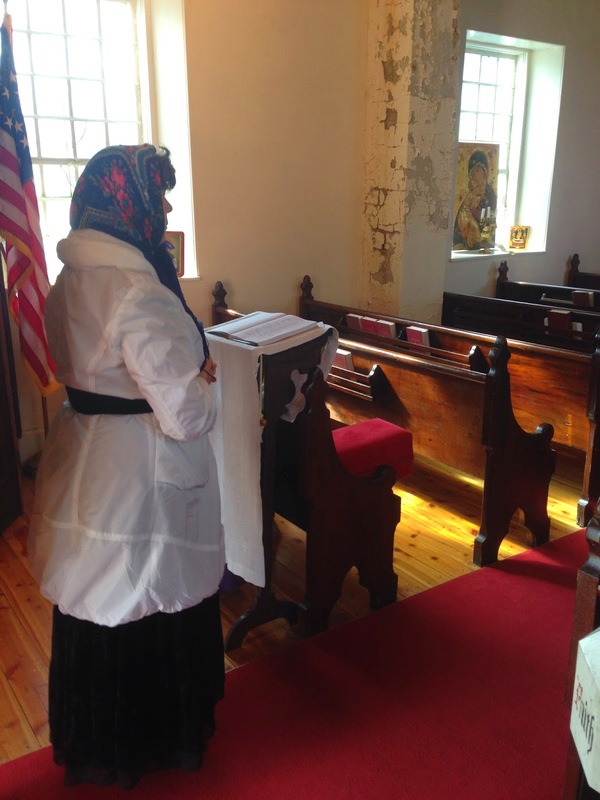 Under near-perfect weather our little space at the historic Zion Church in Brimfield was filled to capacity twice during the two Akathist services. 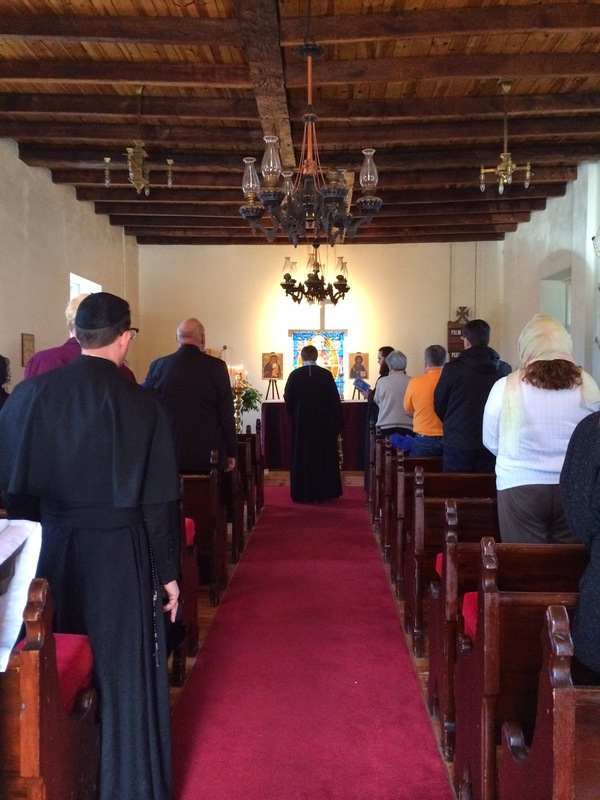 We can only estimate, but during the 4 hours that we were “open” conservatively about 250 people from all around the region (from central Iowa to Champaign) made pilgrimage to come and each draw near to the holy Kursk-Root Icon of the Ever-Virgin. 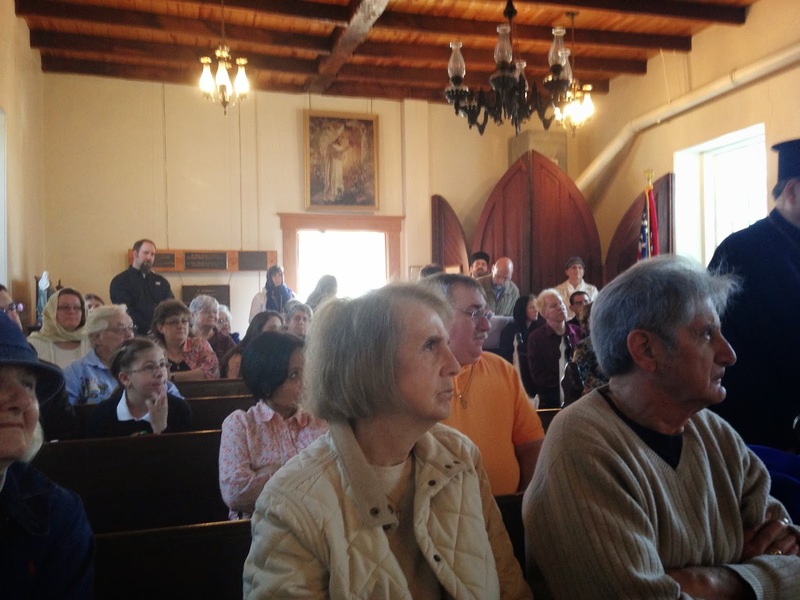 Among their number were Orthodox, Catholics, Anglicans, Lutherans, Evangelicals, Presbyterians, Unitarians, and others. Fr. Dcn David from Holy; Apostles OCA, Normal; and 3-4 others. 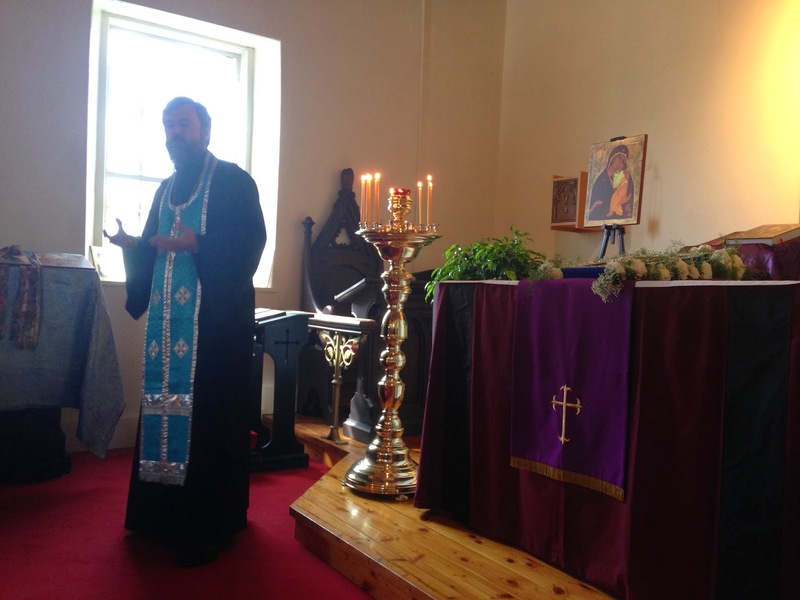 The first Akathist Service was served by Fr. 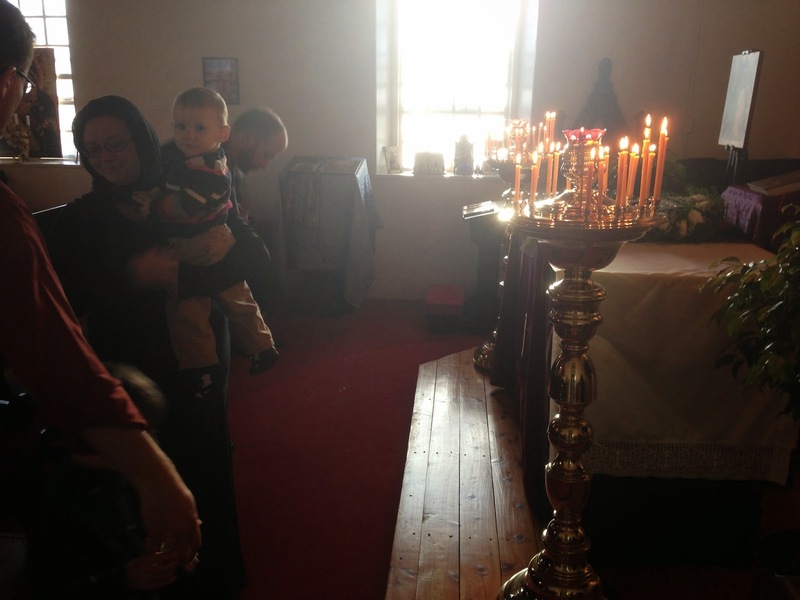 Joseph at 3PM, assisted by Subdeacon Benjamin. A second was served at 5:15 PM by Fr. Cyprian, assisted by Fr. Joseph, Fr. Dcn Paul, Fr. Dcn. 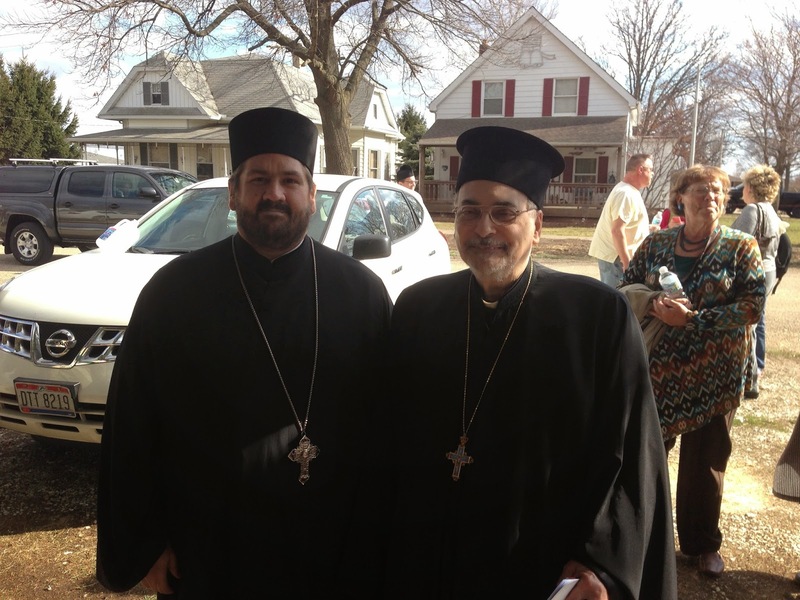 David and Subdeacon Benjamin. 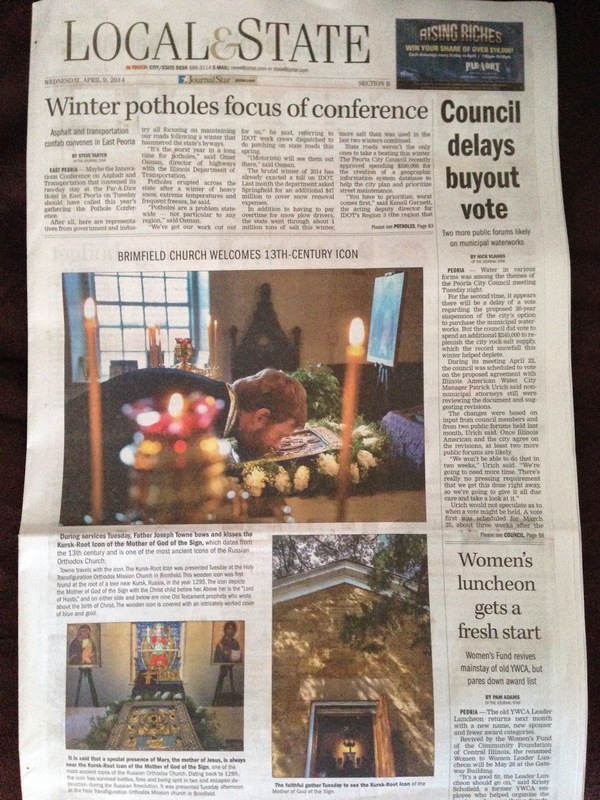 Our media coverage was good. In addition to the Weekly Post announcement, the Peoria Journal Star announced our event and sent a journalist to cover it. 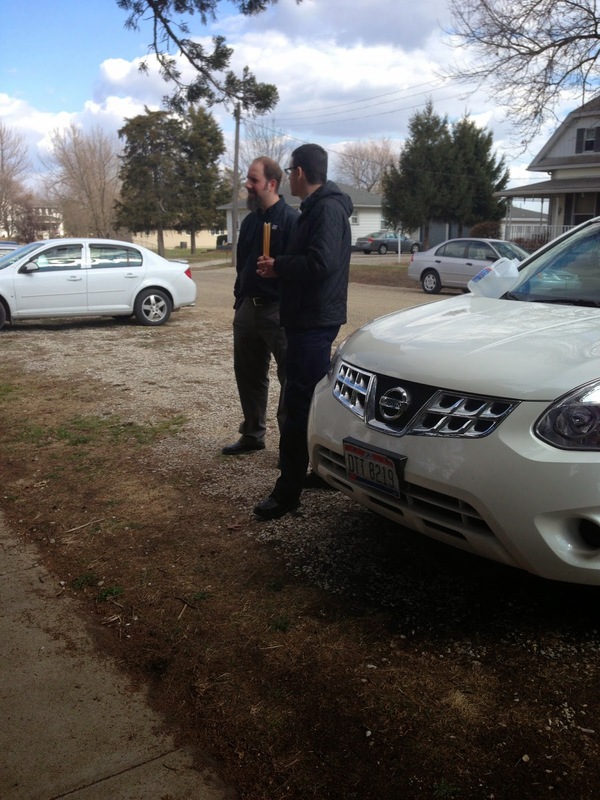 We also received word that the event was picked up by the local WMBD news. We are grateful His Grace Bishop Peter for his blessings, prayers, pastoral care, and for having numbered us among the destinations for this tour. 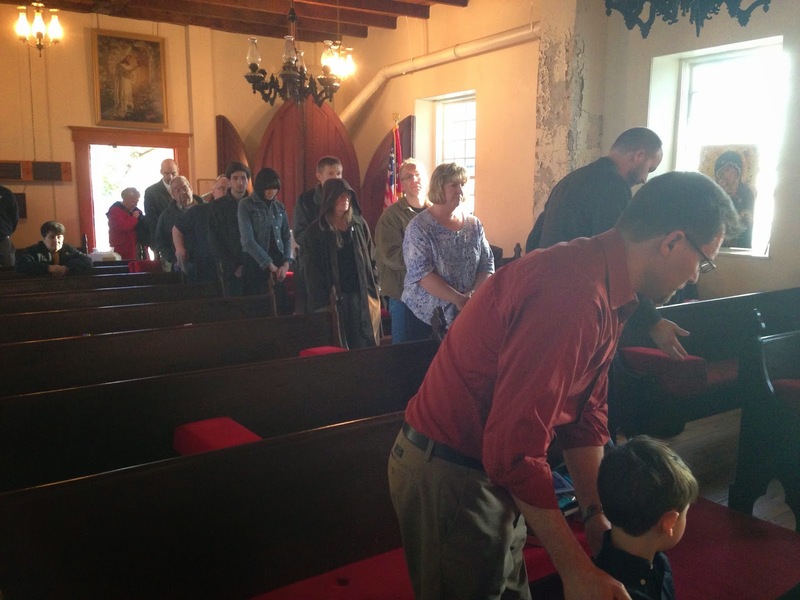 We are also to our gracious and enthusiastic hosts at Zion Church. Most everyone I spoke with expressed a sense of pronounced well-being. Our community has clearly hungered for such an encounter with Our Lady. 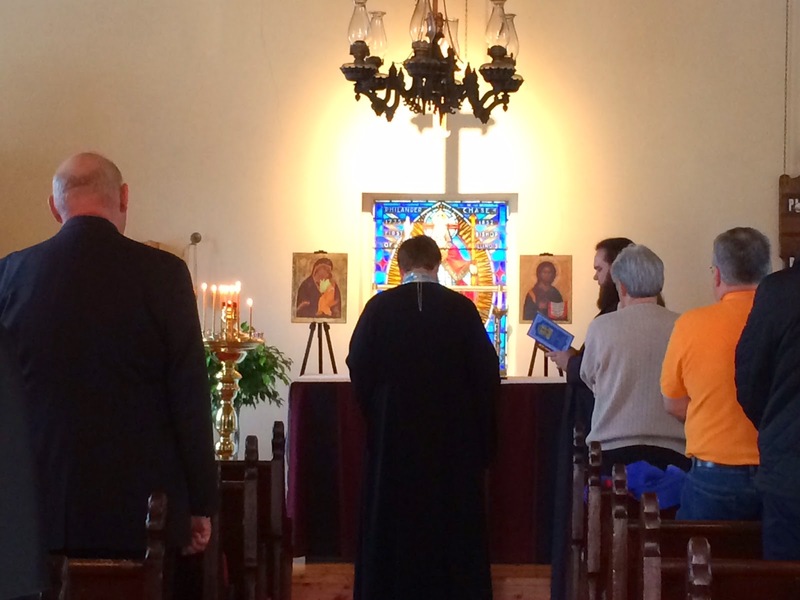 It is our hope that the Theotokos will, as a result of her visit, draw out those among us who are willing to approach Holy Orthodoxy and those Orthodox who are looking for a home in Holy Russia.